China Glaze Nail Polish, Santa Red My List, 1253, .50 fl. oz. 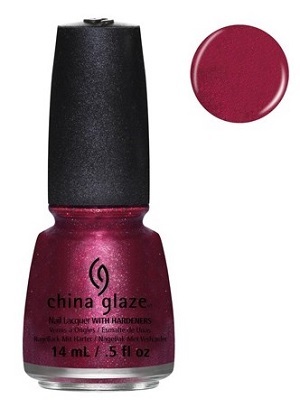 Magenta pink nail color with subtle red undertones, metallic silver micro-shimmer and a foil finish.